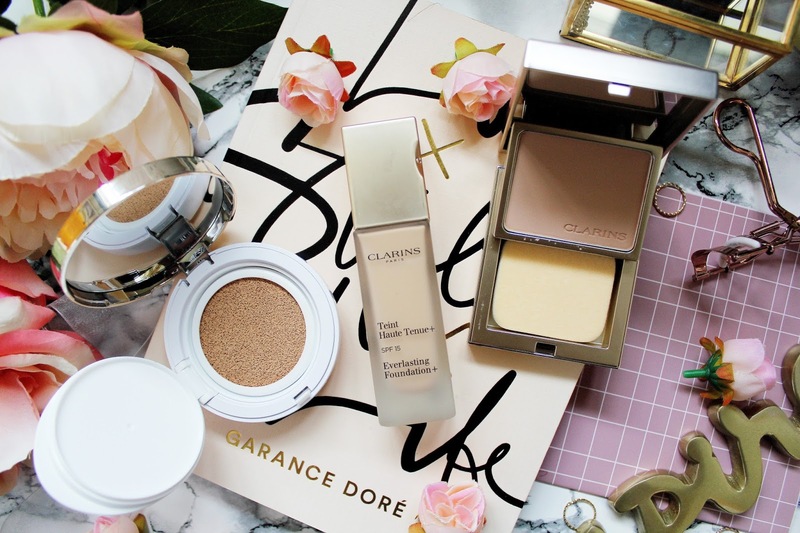 I’ve been a massive fan of the Clarins Everlasting Foundation for about the last 18 months and I was so excited to find out that they are expanding their range to include two new foundations, a powder foundation and a cushion foundation. When I want my base to last all day and to give me the perfect flawless finish, Clarins Everlasting Foundation is what I reach for and so I was super excited to give these two new foundations a try. So for the past couple of weeks I’ve been testing these out so I can give the most honest review I can and it feels weird writing this post now as these foundations don’t feel new to me anymore, they feel like something which have been in my life for ages. 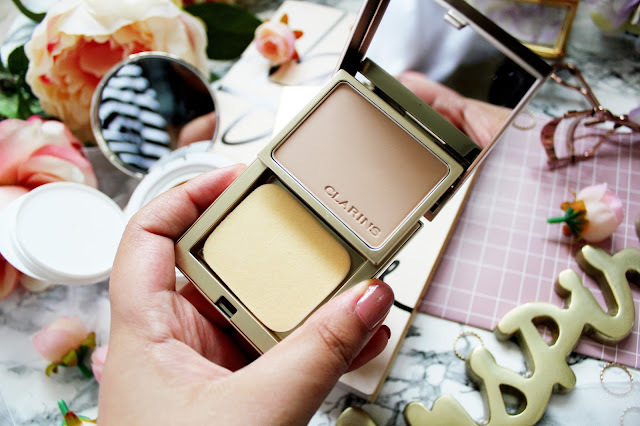 Clarins Everlasting Cushion Foundation in 110 Honey - £31 If you’re like myself and you love that dewy/radiant look to your skin then you NEED (I repeat) NEED this foundation in your life. I never really got on board with the cushion products, which have been released, online but I am very on board with this. I feel like when I use this my skin looks radiant and hydrated and I’ve had a few people compliment my makeup when I’ve been wearing this. 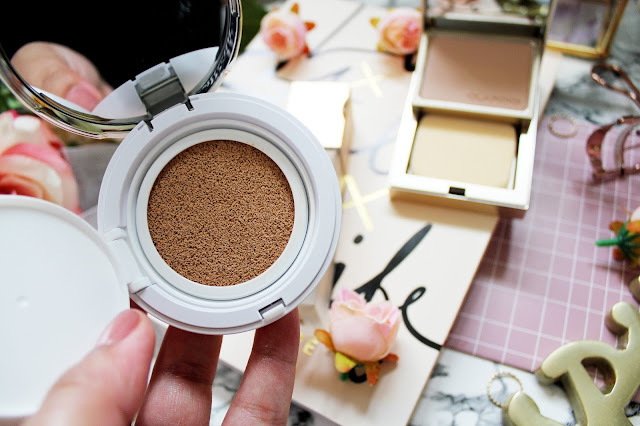 This foundation is travel friendly, comes in a white and gold compact and has SPF 50. 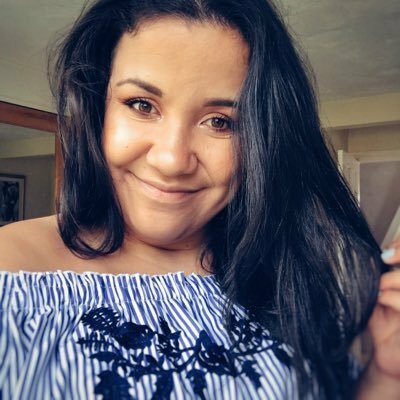 I feel a lot more confident wearing this foundation and I feel like for when you’re off on holiday this is the perfect foundation to take, as you look glowy rather than matte. My (only) criticism with this foundation is that my original everlasting foundation lasts a lot longer as there is only 13ml in the cushion version yet there is 30ml in the original foundation. Want to achieve that perfect matte look, especially when you’re super busy and on the go? Well this is the foundation for you. This is the perfect handbag compact and is super long wearing. If you’re like myself and you like to ‘occasionally’ top up your foundation during the day then this foundation fits the bill perfectly. I found this initially a little bit more difficult to apply that a liquid foundation but I think this is something I can get used too. I found that this is better for the ‘oily’ areas of my skin and that instead of using this foundation as an all over base, I’ll be keeping this in my handbag for touch ups. The foundation, I feel will always be my ride or die. Despite having two new gorgeous foundations added to the range from Clarins I feel like this foundation just gets me? 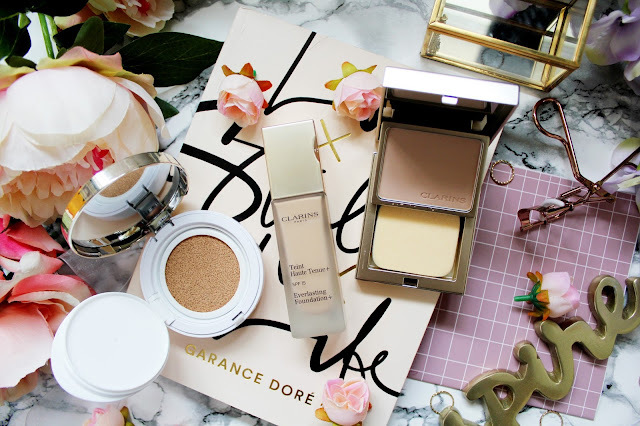 I absolutely love the cushion foundation but purely for the fact that it has 13ml of product in it and this has 30ml, the original foundation is what I would repurchase to use on a daily basis. However, for the summery months of the year (or purely for when I’m on holiday) the cushion foundation will be my first point of call, as I don’t like to wear much makeup while I am away travelling. Also for when I’m on the go it’s great to have a powder foundation in my handbag for those emergency touch ups. 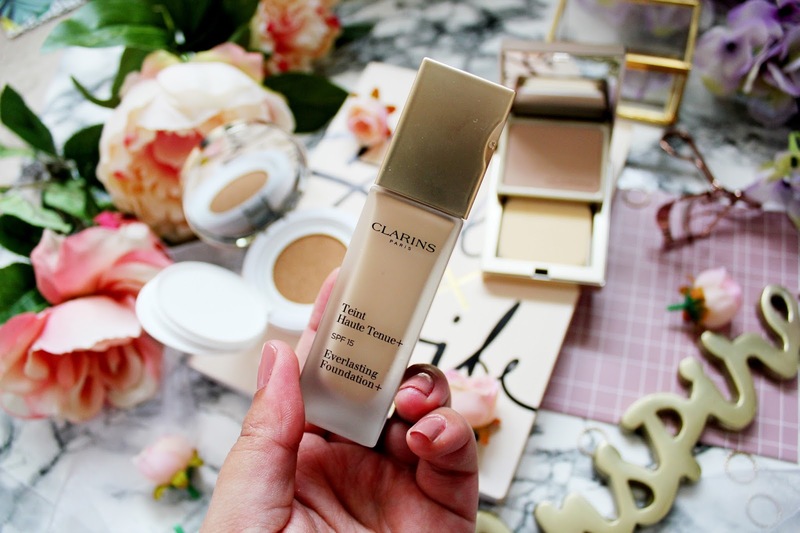 I love the look of that clarins foundation!! LOVE the looks of these! 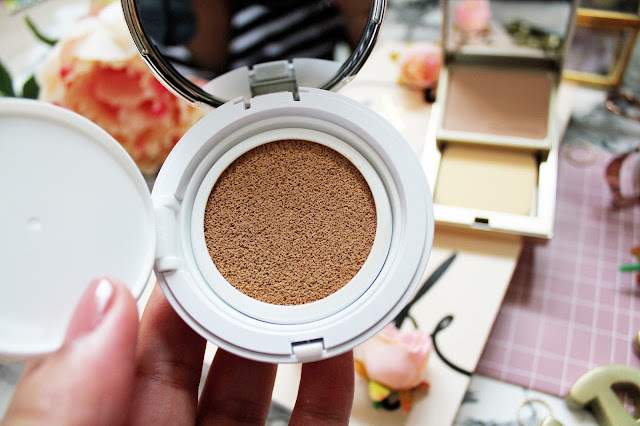 I think i will have a look at the compact the, I like my base to be matte.